When you’re so focused on completing your work and all of your assignments, projects, and personal goals, whether you’re at home or in the office, it’s not common that the benefits of a proper office chair pops into your mind. But in reality, an office chair plays an important part in our lives. Generally we sit in an office chair around six hours a day for most individuals. Since we spend so much time in one spot each day, why wouldn’t we pay more attention to the quality and ergonomics of the product? Especially knowing that it can directly affect our health and the quality of our work. From constantly experiencing lower back pain and aches in our joints. To pressure on our spine, an office chair can either ease this pain and prevent it all together, or it can cause the pain to become much worse. Some individuals who sit nonstop all day in their office chair even have an increased risk of early death or vascular diseases. Sometimes up to fifty percent compared to a healthy individual that balances their time sitting. So before we get started on going into the benefits of an ergonomic office chair, we need to realize that no matter what chair we have in the office, a balance of health is needed to be able to have a healthy lifestyle. Whether you need to get up and walk around for a moment every hour or need to cut back on the amount of work you need to complete in one sitting. Balancing this activity and sitting should be your first priority. Adding a proper desk chair will only do so much, but when you do have your healthy lifestyle in order it can be a huge game changer. 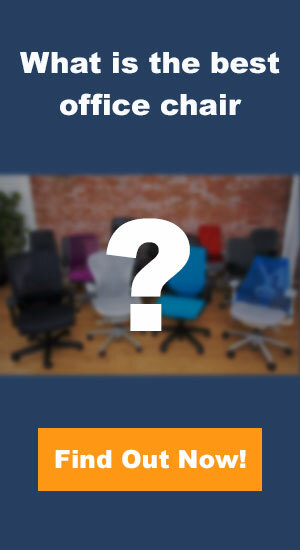 In this article we’ll be going over the benefits and qualities you should look for when you’re searching for a high quality office chair. Not only do you want a chair that’s comfortable, you should also be looking for all of these qualities so you can be the healthiest version of yourself. Hopefully by the end of this article, you’ll have a well rounded idea of exactly what you should look for and the benefits you’ll be able to look forward to when you incorporate this chair into your life. Are you ready to make a difference in your life and in your workspace? When it comes to the height and the width of your office chair, it should be able to fit you comfortably without a problem. When you sit down on the chair you should be able to rest your feet flat on the ground without your thighs being at an angle. You should also notice when you sit that the back of your knees shouldn’t be right at the edge of the seat. If the bend of your knees are right at the edge this can cause potential circulation issues and joint stiffness. The better measurements you have for your office chair, the better you will feel. If you have a chair that fits you and your body, you’ll be able to avoid stiffness and uncomfortable fidgeting because of soreness. This is one of the most important qualities you can look for in an office chair. If you want the most ergonomic option you can find, there should be some sort of lumbar support. On the back of the chair there should be a curved back that fits the natural curve of your spine when you lean back against the back of the chair. This curved back should help you maintain proper posture when you sit for longer periods of time, so you can avoid slouching and lower back pain. This will also help you to focus more as well since you’ll be much more comfortable as you work! If you’re looking for a chair with good lumbar support, check out our review on the Aeron by Herman Miller. The chair should be made of high quality materials, not only so it will last for long periods of time, but also because the chair should be soft and cushioned to keep you comfortable. If you have a chair made from a very hard material, while it might feel great for the first hour, to continue working from a chair like this will only cause poor health and uncomfortable joint pain later on. Look for something soft and natural for your body. Stick with soft edges and padded seating, especially if you find yourself in the office the majority of the day. Feel like you need an upgrade on your chair? The Embody Chair by Herman Miller has been the top rated chairs of 2018. Armrests aren’t always needed when looking for an office chair and if you prefer a chair without them, that’s perfectly fine. But if you do want an ergonomic chair with armrests, this is what you should look for. The armrests should be adjustable and you should be able to easily rest your elbows on them when you naturally sit in the chair. You should lean on them for complete support when using your computer, but you should be able to use them for resting your arms throughout the work day. A great ergonomic office chair should always have the ease of mobility. From the turning to how the chair moves when you need to scoot to reach something on your desk. The chair should be easy to manage, light and simple. If you’re feeling like you have to keep dragging along the chair, you should probably trade it in for a higher quality model! Regardless of what kind of seating you choose for your personal workspace, remember that it’s important you invest in your health. Invest in a high quality ergonomic chair so you’re comfortable at work, in the office or in your own personal space. Make time for getting up and moving around so you can keep your health in check. Finally, remember to look for all the benefits of a perfect ergonomic chair in any chair you use from now on! While an office chair might seem small, just remember how much of a difference it really does make when you pay attention to the details. Can Desk Riser Blocks Help with Posture?